Whether you work for yourself or for a firm or other employer there will come a time when you feel compelled to ask for a raise. (Yes, you can ask yourself for a raise.) I encourage you to first do an exercise to prepare for that conversation. The exercise is simple. Write down all of the reasons you deserve to get paid more than you do now. Not why you “want” a raise or “need” one, why you deserve it. This will prepare you for the time when the salary conversation takes place or allow you to justify increasing your “draw”. It will also show you where you need to up your game. You might note that you’re more qualified or experienced than your competition, you get better results in the courtroom or boardroom, you are regularly singled out by the Bar or your community, and the other usual yardsticks. But that’s just the foundation. Your value to your firm might also be measured by how you save your firm money, viz a vie fewer complaints, claims, negative reviews, or lawsuits. You might also make the case that you don’t engage in extravagant spending. Your value might be extolled in terms of how you get along well with your subordinates and coworkers and how you help them. Note that this means less turnover and greater productivity. You might mention how you regularly find and implement new ideas, adopt new resources and methods, and keep your firm on the cutting edge. Do you do anything extra for the firm, anything not on the job description but that helps your employees, clients, and friends of the firm? Add that to your list. Write it all down and wherever possible demonstrate how each item makes the firm more profitable because at the end of the day, increased profit is how you best make the case for increasing your pay. Which leads me to the biggie: You bring in lots of business. Describe how many clients or cases you bring in each month, the quality of those clients or size of those cases (e.g., lifetime value). Also note how little your rainmaking costs the firm, e.g., most of your new business comes from referrals which take little or no time or money compared to other marketing methods. Note how you create quality content or presentations that bring web traffic that builds your list and leads to more business. 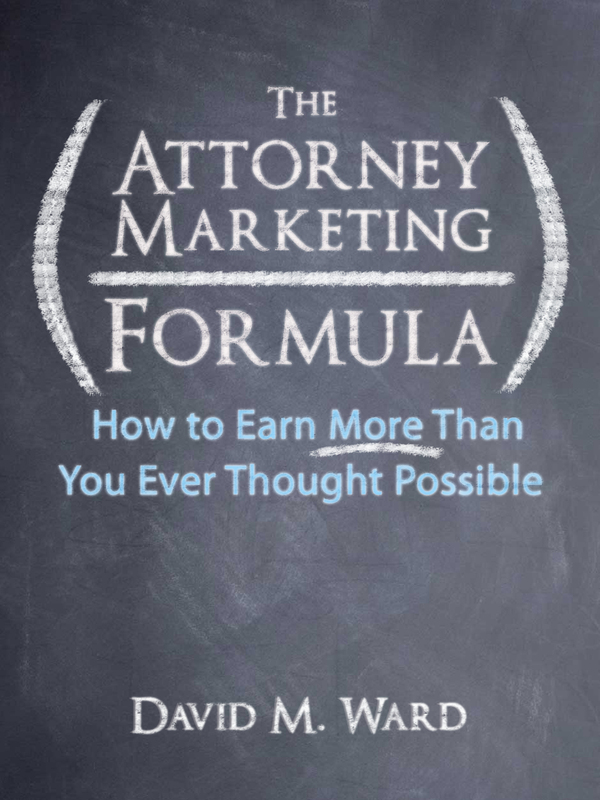 Note how (and why) you have less client turnover, how you help other lawyers in the firm cross-sell their services, or how you are building a great reputation and following in one or more key target markets. Write it all down and take a good long look at it. You might see that yes, you truly are entitled to a raise, or you might realize you have work to do. This is the big one because if you do well in this department, if you regularly bring in lots of business and increase the firm’s bottom line, you can almost ignore the other areas. How much is a new client worth to you? You need to know this so you can make better decisions about how much you can spend to acquire and service them. If a new client is worth $5,000 on average and it costs you $1,000 in overhead to handle their matter, you might conclude that you can afford to spend another $1,000 to bring in a new client. Spend $3,000, earn $2,000 profit, rinse and repeat. To figure out how much a new client is worth to you, don’t limit yourself to the amount they pay initially. 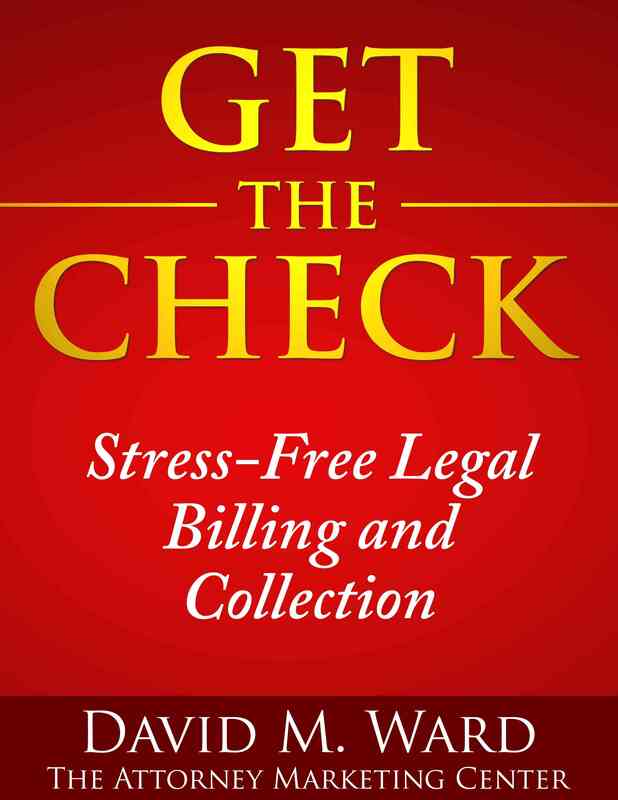 A new client might pay you $5,000 today and another $25,000 over their “lifetime”. On the other hand, “lifetime” is a long time and you should probably use a shorter period, say two- or three-years. If the average client pays you $10,000 over their initial three years, for example, you’ll have a better idea of how much you can spend to acquire and service them. 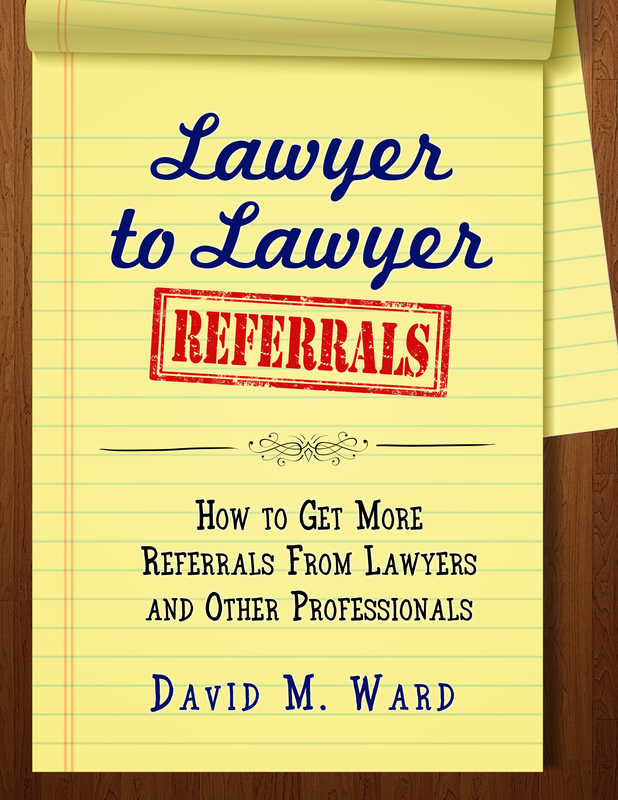 Don’t forget to include the value of their referrals. If the average client refers one client or case every three years, and that client pays you $10,000 over their first three years, that means that a new client is worth $20,000 to you. Knowing your numbers also tells you where you might need to make some changes. 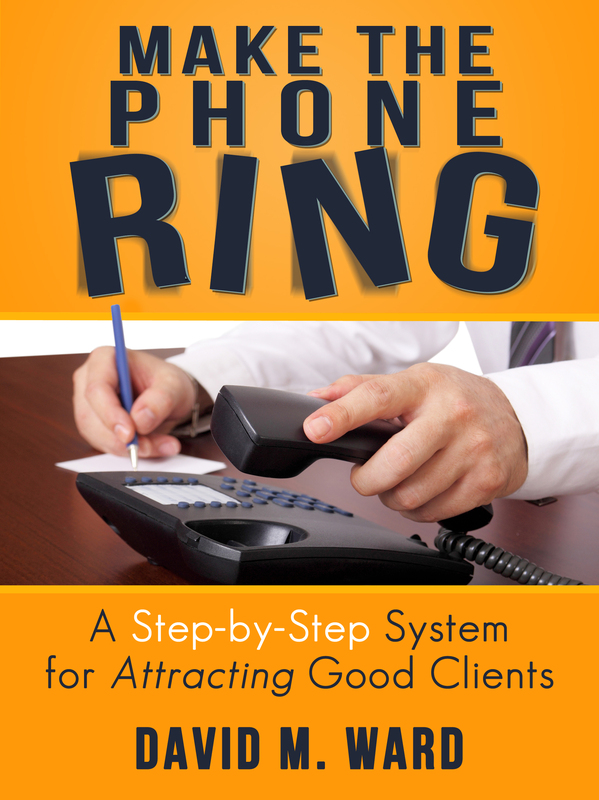 You may look at the average value of a new client and decide you need to get some better-paying clients. You might see that while you don’t make that much initially, you make a good profit on the back end and, therefore, can afford to spend more to bring in new clients. Or, you might realize the opposite. You don’t make a lot more after the initial engagement or case and so you have to maximize profits on the front end. You might realize that you’re paying too much in overhead for each client. Or you may realize that you don’t spend that much per client and you can afford to hire more staff to handle the work, freeing up more of your time to do higher-margin trial work, networking, or other marketing projects. Anyway, you need to know your numbers. 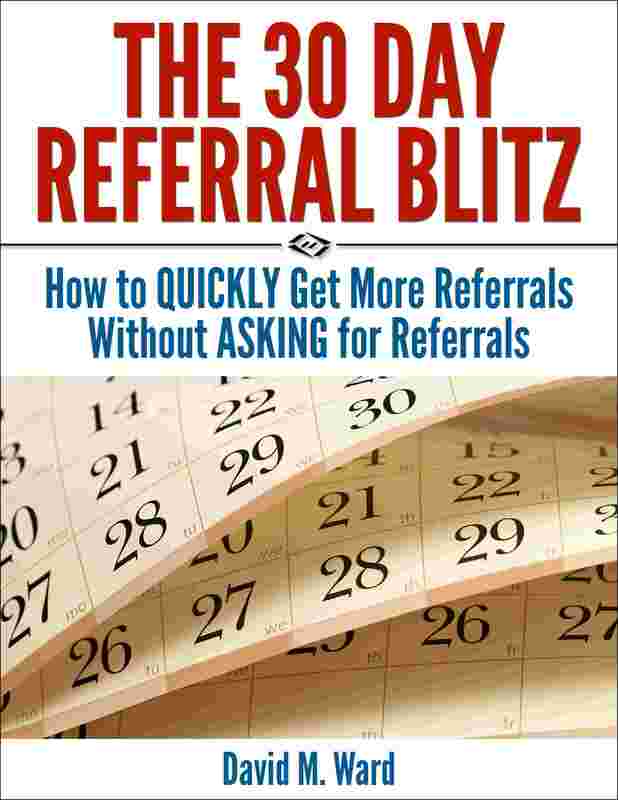 How many referrals does the average client give you? When you’ve heard advertising spots on the radio or TV and even online, you’ve probably noticed that after a new ad has run for awhile, you start hearing a shorter version of it. The original spot may have been 30 seconds or one minute; the shorter version might be ten seconds. The shorter version has the same message and offer but leaves out a lot of details. Advertisers will often run the long version for several weeks, followed by the shorter version for a period of time. They might then run the long version again, or run a mix of short and long ads. Obviously, advertisers do this to save money. But aren’t the shorter ads less effective? To some extent, yes. People who haven’t heard the longer version won’t hear all the details and thus won’t be persuaded to take the next step. But regular viewers/listeners have heard the longer version, and for them, the shorter version serves as a reminder to do what they “almost” did when they heard the original ads. The shorter ads also prompt listeners to pay attention to the longer ads the next time they run. If you don’t advertise (and never plan to), note that this concept can be applied to other kinds of marketing. All marketing comes at a cost: money, time, or both. If you create content, for example, you either take some of your time to do that or you pay others to do it for you. Creating (or ordering) a mix of long and short content can reduce your costs without a commensurate reduction in effectiveness. If you invest a total of four hours a month at networking events or engaging on social media, you might be able to get the same results (or close to them) by cutting out an hour or two. Instead of writing 750 words once a week for your newsletter, you might get just as much engagement and results by writing 750 words (or 500 words) once a month, and 250 words the rest of the time. This idea can be applied to direct mail (e.g., letters vs. postcards), printing brochures (e.g., full color vs. two-color or black and white), and any other marketing where your target market will hear from you more than once. Take the savings and spend it, or re-invest it in more ads, content, and so on. I trust that most of your clients would describe themselves as “satisfied”. You want them to be thrilled (and let everyone know that), but you’ll settle for satisfied. Because it’s so easy for a client to be just the opposite. It happens when you don’t do something they thought you were going to do or you charged extra for something they thought was included. If you read negative reviews posted about lawyers, after “not keeping me informed” or “didn’t return my calls” and the like, numero uno is a variation of not getting what they expected. Of course, it’s never their fault. It’s your fault and the world shall know it. That’s why you have to go out of your way to CYA. Not just to protect against bar complaints or lawsuits, but to make sure your clients know exactly what they get (and don’t get) so you have a shot at keeping them happy. Especially when it comes to money. Especially because clients are stressed out. Especially because so many clients don’t trust lawyers. You can’t just slide the retainer agreement across the desk and hope they sign it without reading it. You need to explain everything, slowly and in plain English. Give them a list of FAQs that spell out exactly what you will do and when, and what you won’t do and why. Ask them to acknowledge that they understand everything. Asking them to initial lots of things is also a good idea. Maybe give them a three-day cooling off period. Because if it’s possible to misunderstand something, your clients will find a way to do it. And blame you. When I started practicing, I took anything that showed up and what showed up was mostly small stuff. That was fine because I needed to settle cases quickly to pay my bills and smaller, less complicated cases made that possible. Besides, I didn’t have the experience or resources to compete with bigger firms. So I didn’t try. Focusing on smaller cases also meant that no one case or client was make or break. If I lost a case, if the client went away, I had plenty more where that came from. For a long time, I was able to keep overhead to a minimum so my practice was profitable. Eventually, as I hired more staff and moved to bigger offices, overhead made a significant dent in the bottom line. There is also psychic overhead. More clients mean more people to worry about, and more staff to manage. So today, I would do things differently. As soon as I could, I would move towards having fewer clients who pay higher fees. Fewer clients mean lower overhead and fewer people to keep happy. Bigger clients mean bigger paydays. To earn $300,000 with small clients you need a lot of them. To earn the same amount with bigger clients, you only need a handful. One writer summed up the difference this way: “I’d rather have four quarters than 100 pennies”. True, to compete with the big boys and gals you need to be one of them. You need a higher level of skill. That takes time to acquire. And, with fewer clients, losing one could be costly so you need to work hard to keep them happy and have a way to replace them when they go away. Both models work. High volume and high ticket are both viable ways to build a practice. And there’s nothing wrong with having a mix. But while I could handle the tumult of a high volume practice when I was younger, today I like to keep things simple. And quiet. To some extent, perfectionism is a valuable attribute in an attorney. Exacting standards and an almost obsessive attention to detail help you to do a good job for your clients, keeping them and yourself out of trouble. I say “to some extent,” however, because research shows that perfectionism can lead to burnout, anxiety, and even depression. You can argue that there’s too much at stake and, therefore, no room for error. You can’t take any risks with your work. But, as I’ve said before, life (and the practice of law) isn’t about the complete elimination of risk, it’s about the intelligent management of risk. There are things you can do to maintain your wellbeing while staying faithful to your high standards. Like checklists, that tell you when you’ve done the work that needs to be done, and self-imposed deadlines that force you to “turn in your homework” even though you might want more time. Mistakes happen. But most of the time, most of what you do is “good enough” and good enough is usually good enough. Err on the side of “overly cautious” or “painstakingly thorough,” but do what you have to do to let things go. Repeat after me: “Done is better than perfect”. One area where you cannot afford to be a perfectionist, however, is in managing your practice. You can’t wait for the perfect marketing solution, you have to run with things and see how they work. Marketing is messy. Somethings work, some don’t. Sometimes you get it right, sometimes you lose your shirt. Similarly, you can’t refuse to delegate work because “nobody can do better” or because someone might make a costly mistake. If you insist on doing everything yourself, you will never grow. You will work more than you have to and achieve less than you could. And you’ll also go home exhausted. Marketing maven Dan Kennedy talks about something he calls the “full parking lot phenomenon”. He says nobody wants to buy from a store, eat at a restaurant, or hire a lawyer with an empty parking lot. If your parking lot or office waiting room is empty, if you don’t appear to have many clients, people get nervous. They want to buy from successful merchants. They want to hire successful attorneys. You need to do whatever you can to create and maintain that image. If you are just starting out, talk about work you did for the firm you worked for prior to opening your office. If you’re going through a bad spell and you aren’t flush with clients, talk about the clients you do have or the ones you’ve had in the past. Nobody needs to know how long ago it was. Book appointments back to back so that clients see other clients in your waiting room. 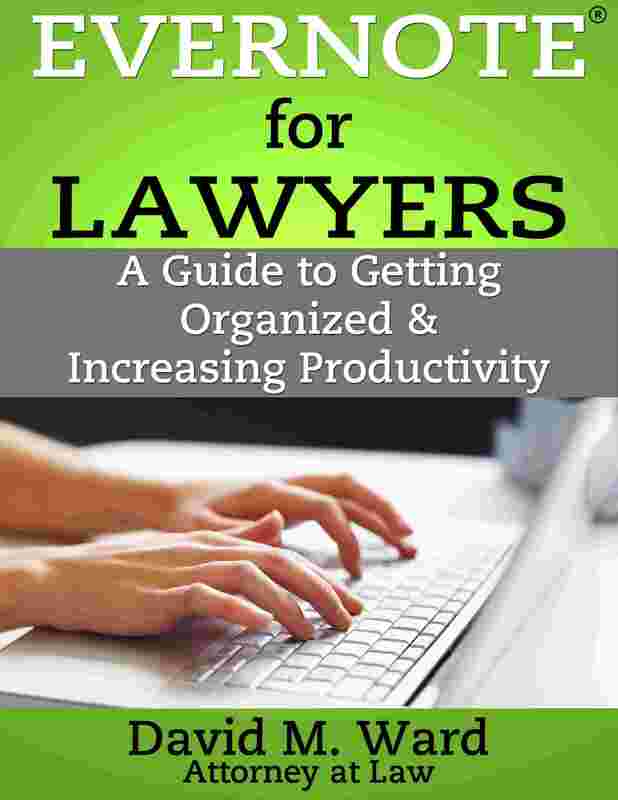 Talk about things busy lawyers do–your speaking engagements, writing, and networking. Let the world know that you are “in demand”. Perception is everything. If you look successful, clients will assume that you are successful. Does that mean that you should continually upgrade your image as you grow? New office, furniture, clothing, and car? If your clients (or the clients you wish to attract) expect their attorney to fit a certain image or profile, you should probably accommodate them. I know, we’ve all seen some very successful (and wealthy) attorneys who wear old clothes and drive old cars, but not everyone can get away with that. Keep up appearances but don’t go overboard. You don’t want clients thinking you charge more than you’re worth because you are addicted to wearing $4000 suits.